The Subcommittee on Queer People is a subcommittee of the Joint Board-Senate Committee on Equity (JBSCE) and is committed to ensuring equity for queer people at McGill University. The committee is comprised of individuals from all colours of the rainbow and includes academics (professors and librarians), staff, graduate and undergraduate students, and members of Montréal's larger academic community. The Subcommittee on Queer People meets once a month to discuss new ways of advancing equity and improving queer life on campus. If you have issues that you would like addressed, please contact us at queer [at] mcgill.ca (subject: Queer%20Equity%20at%20McGill%20University) . For information about, or to register for, Launch of the Rainbow, click the banner below. The McGill Equity Subcommittee on Queer People is a subcommittee of the McGill Joint Senate-Board Committee on Equity that addresses issues of representation, inclusion and support of lesbian, gay, bisexual, transgender, two-spirited, intersex, asexual, and queer students, staff and academics (professors and librarians) at McGill University with respect to academic and non-academic life on campus. We are one of six subcommittees; along with the subcommittees on Aboriginals, Disability, Race, Women, and Family we report directly to the Joint Board-Senate Committee on Equity (JBSCE). Our mandate as an advisory body is to make recommendations to Senate for changes and improvements which need to be implemented on campus in order to ensure equity for all members of McGill's community. For resources on campus, please visit the Social Equity and Diversity Education Office (SEDE). 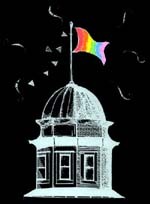 Resources for queer community members at McGill can be found here, with links to Montreal community organizations here. 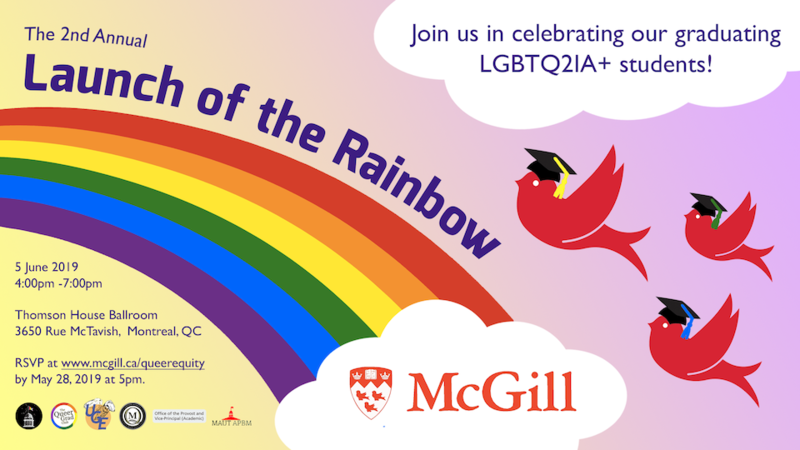 The McGill University Library generously supports the teaching, research, and learning of McGill students and professors interested in queer studies through developing and providing collections and services. The Research Guide for LGBTQ+ Studies is your central launch portal for journals, books, films, databases, archival materials, etc. in LGBTQ+ Studies. You may also contact the Liaison Librarian for LGBTQ Studies, michael.david.miller [at] mcgill.ca (Michael David MILLER), for additional information regarding collections and services available at the Humanities and Social Sciences Library. Follow us on Facebook for updates about events happening on campus and other queer issues.